Excellent for Cartesian coordinate and area lessons. 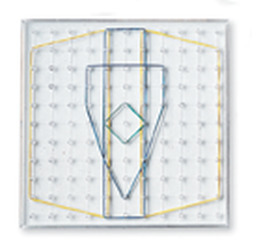 The Origin pin (0,0) is located in the lower left corner and the board's surface is molded with a two-centimeter grid. The left and bottom rows of pins are clearly numbered 0-10.